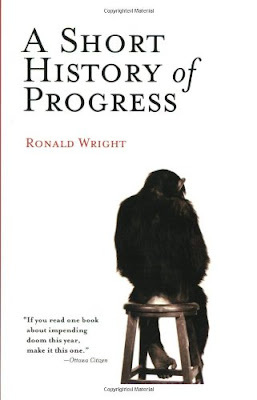 Recently we read three books on the subject of progress that are lumped together in one idea stew – for better or worse - in the Travelmarx mind. 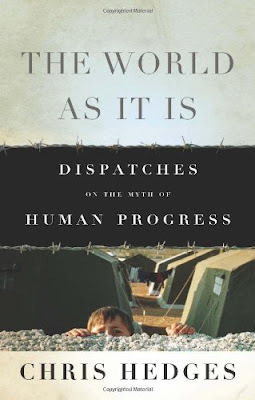 Two of the books, The World As It Is: Dispatches on the Myth of Human Progress and A Short History of Progress deal with the notion of progress directly. 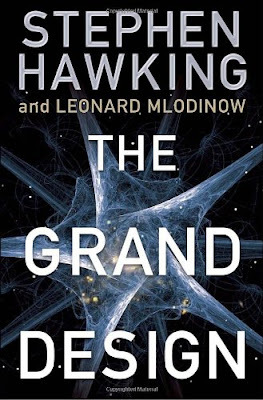 The third book, The Grand Design, deals with progress of our cosmological knowledge. The World As It Is: Dispatches on the Myth of Human Progress (2010) by journalist, author, and war correspondent Chris Hedges is perhaps the most depressing read of the three. Yes we love Hedges’ insightful analysis and comments and call to action (really revolt), but it’s hard to escape psychologically unbruised from his writing and he does have a habit of invoking (at least in our minds) Marvin the Paranoid Android and his lament about a “… terrible pain in all the diodes down my left side”. That said, this collection of dispatches is essential reading if you think everything is hunky dory and humanity is just humming along swimmingly. Take this opening sentence from the “Calling All Future Eaters” dispatch: “The human species during its brief time on Earth has exhibited a remarkable capacity to kill itself off.” The state of progress: it’s a myth. The Grand Design (2010) by Stephen Hawking and Leonard Mlodinow is a fairly accessible account of the design of the universe and how it came to be. The progress aspect here is our understanding of the universe’s beginning and end, or shall we say universes’. The first good thing we’ll say about the book is that, refreshingly, there isn’t subtitle on this book. The second good thing is that there are some simple explanations of concepts like model dependent reality or the double –slit experiment that in case you hadn’t seen explanations of them before might be worth it. But, other than that, this book reads like an extended essay that wasn’t exactly finished and overall feels disappointing. And, at times the writing is corny. The Grand Design sets out to answer three questions. “Why is there something rather than nothing? Why do we exist? Why this particular set of laws and not some other?” In the process, the book gives a quick review of the state of progress in cosmology over the last few hundred years. The state of progress: according to the authors, we do not need to invoke divine beings to answer these questions. Of interest to those watching the progress of media technology, the Grand Design was the first book read entirely digital and all of these were purchased and read on with the Kindle application on iPad. The process for making notes and using the notes is different in this medium. You make a note or highlight in the Kindle application and then you go the Amazon Kindle site and retrieve your notes. Cloud reading. We are still getting the hang of it so you could say that there is a lot more progress to be made. you know what I read? I read summaries on blogs of these books. i just get to the point. that's probably why we're doomed. This book changed it all for me: http://travelmarx.blogspot.com/2008/05/how-to-talk-about-books-you-havent-read.html.